Indianapolis-based Synovia Solutions™, makers of the GPS-tracking technology that we began using last year, developed Here Comes the Bus. With it, we’ve been able to improve safety and cost savings as they relate to our transportation services. Your child's student ID number (you use it to log in to Power School or update lunch balances; if you don't know it, your school's secretary can provide it for you. Available in three languages (English, Spanish and French), the Here Comes the Bus app can be downloaded from the App Store or Google Play. New this year, there is NO FEE for the app! Should you have any questions, please contact Dean Shepard via email (dshepard@plainfield.k12.in.us) or by phone at 317-838-3632. If you are having issues with the performance of the Here Comes The Bus app, try uninstalling the app and reinstalling it. This procedure will correct most issues. Our dedicated and experienced staff takes great pride in safely transporting students to and from school and extracurricular events. To do this effectively requires the cooperation of the student and the support of the parents working together in conjunction with your bus driver. Bus rules and guidelines (which can be found here) are provided in your child’s student handbook. Please take an opportunity to review them with your child. 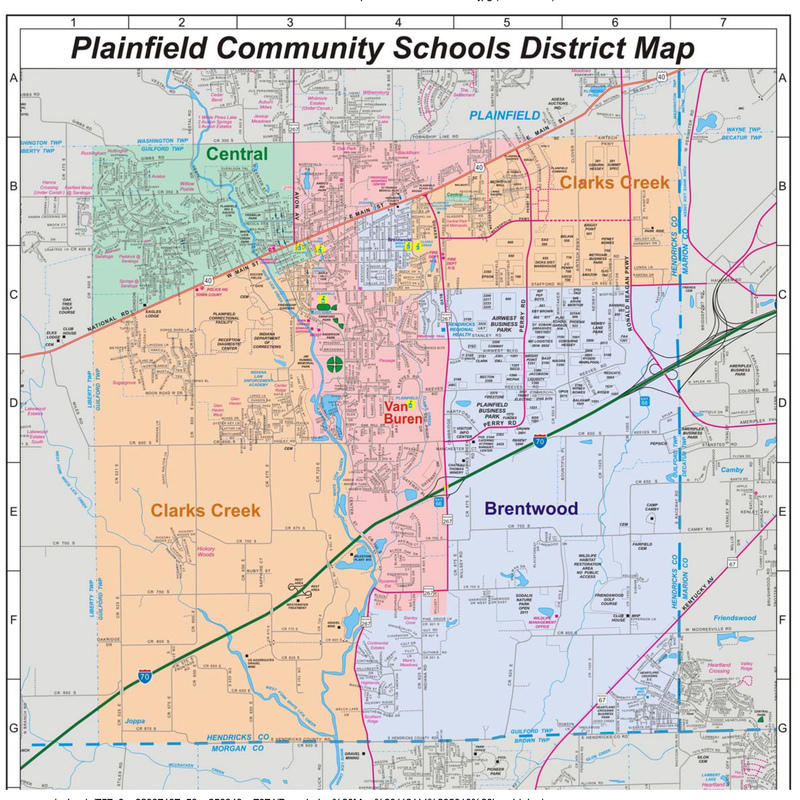 Specific Bus Stop times and locations are available in the PowerSchool parent portal, via this link: https://powerschool.plainfield.k12.in.us/public/ . Please note: this step cannot be completed on the PowerSchool Parent app - you must sign in from a web browser. Bus arrival times may be somewhat uncertain for the first few days as we monitor and adjust routes according to changes in where students live and the number of students on each route. Please have your child ready at the stop a few minutes earlier than normal. If you have a kindergarten student, or a student who is new to the bus route, your bus driver will call you with bus stop information no later than July 30th. If you have any questions concerning bus routes, please contact the Transportation Department at 317-838-3632. The Transportation Center is located at 918 Whitaker Road, Plainfield, IN 46168.